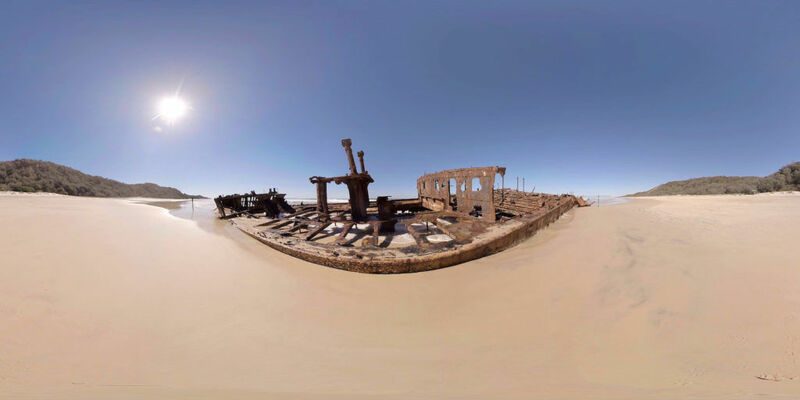 ​The Maheno shipwreck is located on the east side of Australia’s Fraser Island which is not only renowned for its unique wildlife but also the breathtaking and widely untouched wilderness areas. The Maheno stranded on Fraser Island during a cyclone in 1935 and has attracted visitors to this part of the 120 Km long stunning beach ever since. In this rare video you have the site all to yourself, so sit down and enjoy the view onto this historic landmark of one of Queenslands most iconic tourist destinations.